Congratulations to Arul for this wonderful results. For more information about Arul’s project, please see the video below recorded after the regionals. There will be three summer camps at our school this year. You have heard about S.T.E.A.M. Camp (http://ift.tt/1Vs4tsd) and IDTech Camp (http://ift.tt/1Vs4tsf/. However, you probably have not heard about BioIgnite Summer Camp yet. (http://ift.tt/1N5Agsq). Over the past several weeks, Mrs. James and the kindergarten Arts & Crafts Club were very busy finger knitting! Children have been learning how to make scarves, bracelets, necklaces and headbands using their fingers and yarn! Fun fact… The longest piece of finger knitting measured 4,321.4 m (14,177 ft 9 in) and was completed by Niklas Bernhard (Germany) on June 10, 2004. Niklas, who used woollen yarn left overs supplied by relatives and friends, learned to finger knit in kindergarten and then used this technique to improve his concentration. The finger knitted chain took more than eight years to be finished and was wound into a ball measuring 34 cm (13 in) and weighing 5.62 kg (12 lb 6 oz). On Friday, April 1st, FSA’s first grade classes hosted Donuts with Dad. Students in Mrs. Whitlock and Ms. Selstad’s class invited their dads to a morning of yummy breakfast, quality time, and some fun gifts. Students worked very hard and created donuts with a dozen adjectives to describe their dad, a story where their dad was a superhero, and a picture telling dads why they loved them! It was a very special time for all of us. We are so thankful for our dads! 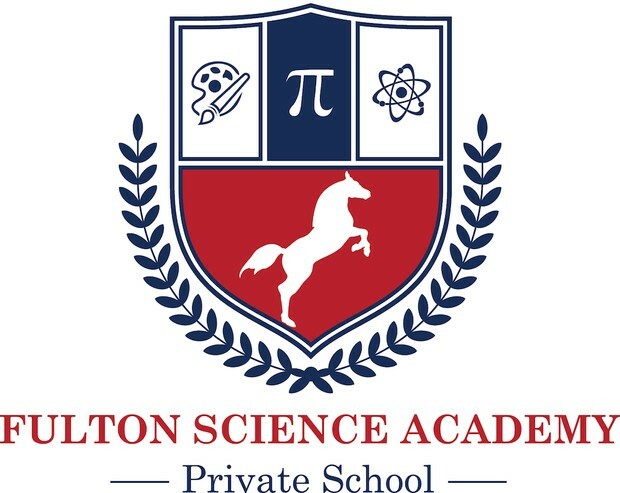 Fulton Science Academy Private School College Mentorship Program Compassion – This video is phase two of Mrs. Carmona’s CMP class project. Phase one consisted of the fundraising they worked on the past few months in which shoes and uniforms were donated to 30 students in Colombia. This CMP group has made BIG efforts and worked very hard on showing empathy and communication skills. This video summarizes the work students have done with the 7th Grade Second Step Curriculum. WOW! I am SO impressed with my students and the hard work they have done on their Cultures Around the World projects. I can tell that students really took ownership of their learning and worked hard to create something they could use to teach their classmates all about their assigned country. It also seems like everyone really enjoyed creating this project! I am so glad. I was very pleased with the few presentations we had this morning. I love that I can tell our students have practiced what they will say to the classmates 🙂 We will do a few each day until we have presented all projects. I can’t wait to see all of the presentations! Enjoy a few photos from our presenters today! We have created self-portraits of our reflections, practiced sight word reflections and made some shadow fun on the playground!